After a four-month effort to remove 50,000 cubic yards of debris from the reservoir, city workers declared the Longmont Reservoir usable again on Thursday. The lake had been dredged for the cleanup efforts; water began to re-enter on Wednesday. 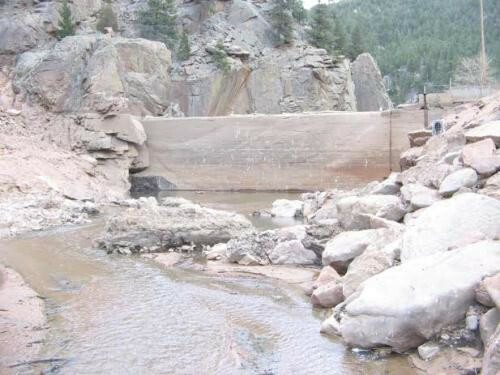 The reservoir had been taken out of service by September’s flood, a deluge that also knocked out the connecting North St. Vrain Pipeline and any road access to the area. By the flood’s end, Longmont had only one working pipeline, to Carter Lake, and only one-third of its normal water supply. According to Holly Milne, a marketing specialist for the public works department, the last bit of debris in Longmont Reservoir was removed the week of March 10. There’s still more to do. Still more debris — most of it wood — is clogging the inlet to Ralph Price Reservoir. The flood left more logs and wood in the reservoir itself; city workers lowered the lake level there to beach the material. The inlet needs to be cleared before the runoff, which typically comes in two phases: early to mid-May and then late June to early July. But the wood on the beach will probably be cleared about the time the runoff hits, Sherman said, as workers use rising water levels to bring the logs across the lake and to a more accessible location. 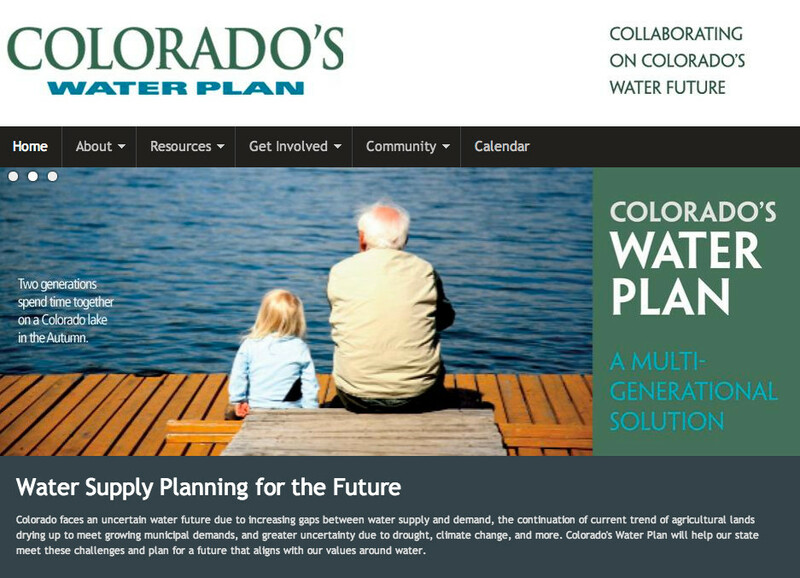 John Stulp, the governor’s special policy advisor on water and former state agriculture commissioner, will speak at the forum about the Colorado Plan for water, according to the release. The South Platte and Republican rivers will the subject of another session, with Deb Daniel and Jim Yahn as the speakers. Public legislation related to water will be the focus of Joe Frank’s talk, which will include the potential local impacts to water rights and use of proposed legislation. Jerry Gibbens will provide an update on the Northern Integrated Storage Project, which is a proposed massive water storage project that would build two reservoirs, with one near Fort Collins and one near Ault. The featured luncheon speaker will be Treste Huse from the National Oceanic and Atmospheric Administration, who will provide forecasts for moisture and potential flooding issues. Reservations are required and can be placed online at progressive15.org, by calling 970-867-9167 or by email to cathy@progressive15.org. A flex marketing water right bill that passed the state House earlier this year would, in effect, overturn a state Supreme Court decision that prevented moving water out of the Fort Lyon Canal. That’s the opinion of Peter Nichols, water attorney for the Lower Arkansas Valley Water Conservancy District, who has been working to change the bill, HB1026, to provide more assurances that agriculture would remain the primary use under the new type of water right. “The way the bill has been amended overturns the High Plains decision,” Nichols said, referring to a 2004 ruling by former water judge Dennis Maes that was upheld by the state Supreme Court. High Plains claimed multiple uses for unnamed end users in counties throughout Eastern Colorado in its attempt to move water out of the Fort Lyon Canal. Maes rejected the application under the state’s anti-speculation doctrine that requires an end user to be named in a water change case. The district is working with key lawmakers to try to put better limits on the bill that would make it conform to current laws which limit the frequency of years when water could be put to alternative uses and the amount of land that can be dried up. The Lower Ark district promotes the Arkansas Valley Super Ditch, but helped create it with the intent that water would be treated as another “crop” and not permanently removed from the land. Nichols also suggested that removing ag water too often from fields would create environmental consequences for wetlands and return flows to rivers. “For some reason, the environmental community has not paid attention to this bill,” Nichols said.